Summer officially begins on Saturday and you know what that means- long lazy days spent at the lake, cool, refreshing drinks by the pool and the return of brilliant pink and red sunsets! It also means salads or cool foods that don’t heat up your body or your kitchen. 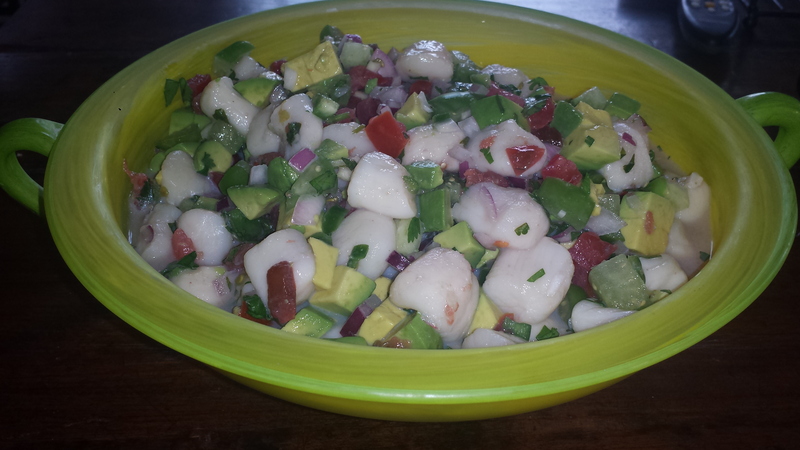 Ceviche is popular in South and Central America where temperatures are warm most of the year. 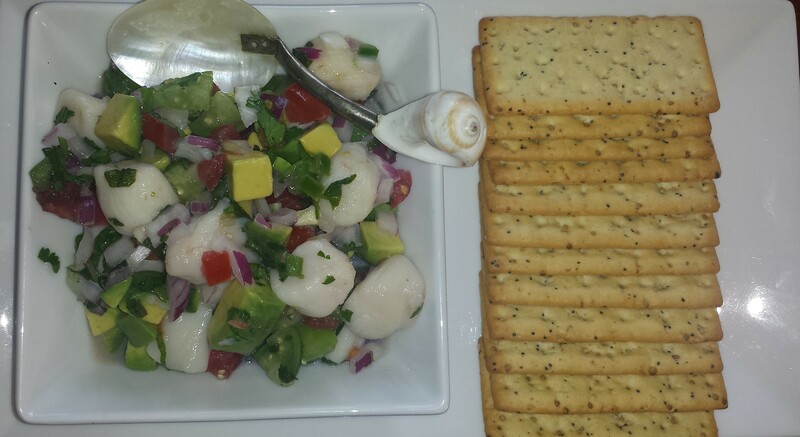 For the uninitiated, Ceviche is a delicious taste sensation. Various fish or shellfish is marinated in a citrus-based mixture, usually lemons and limes. 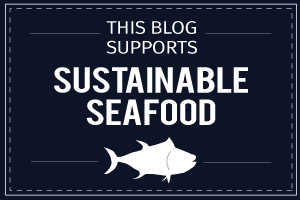 In addition to adding flavor, the citric acid causes the proteins in the seafood to become denatured, which is what makes it firm and gives it the taste and feel of being cooked. Recipes for ceviche vary among countries but adding onions and chili peppers or other herbs and vegetables is fairly common. My ceviche was inspired by the ingredients I had on hand (tomatillo, serrano peppers, red onion, cilantro and the first tomatoes from my garden), which give it a more Mexican flavor. 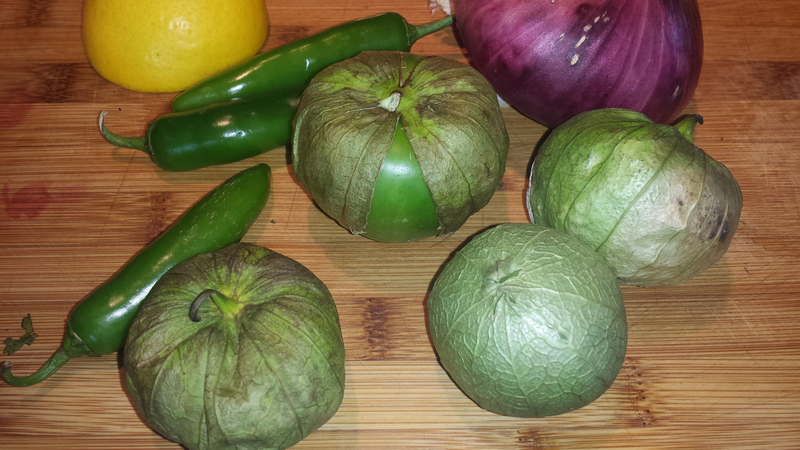 I had never used tomatillos before and bought them on a whim the other day. Tomatillo, (in Spanish “green or little tomato”) is not really a tomato but a part of the nightshade family. If you don’t have access to tomatillos, then you can omit them from the recipe or put some of those ‘not quite ripe tomatoes’ to work for you for a similar flavor. 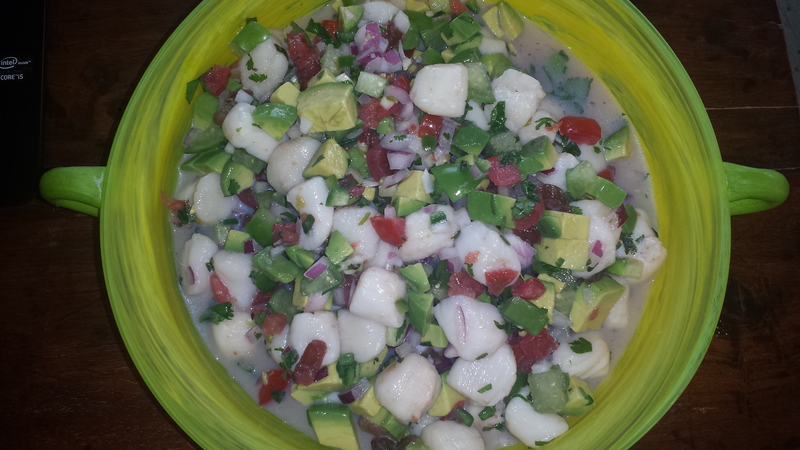 The ceviche needs at least 3 hours or over night to “cook” but can be assembled in less than 10 minutes. The flavors combine for a tasty, slightly spicy and refreshing dish that is loaded with vitamins and minerals plus healthy fats. This is perfect for when you don’t want to turn on your oven. It makes a great appetizer served in small glasses with chips or crackers or as a main or side dish. Rinse scallops and pat dry. Place them in a ziplock bag or container with a lid. Add garlic, lime and salt. Dice peppers, onion and cilantro and add to scallops. Remove papery skin from tomatillas and rinse to remove the sticky residue. Dice and add to the scallop mixture. Gently comgine. The scallops should be covered by lime juice. Add a bit more if necessary. Refrigerate at least 2 or 3 hours or overnight while the scallops “cook”. Before serving pour off excess liquid, leaving a bit to keep it moist. 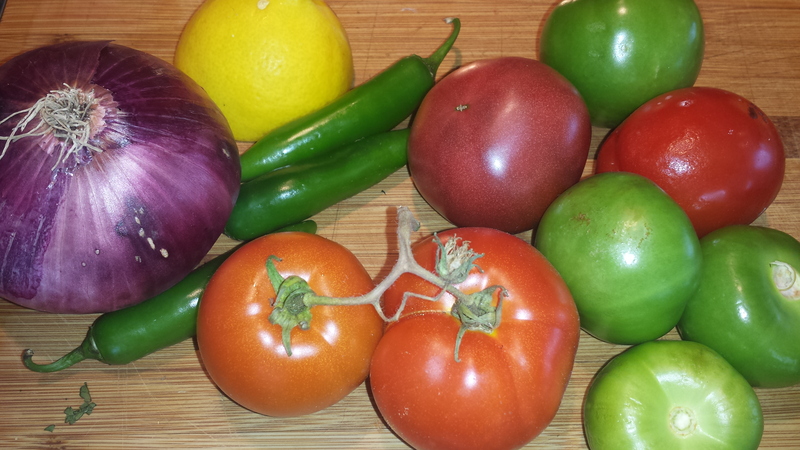 Add tomatoes and avocados and gently combine. Serve with crackers or tortilla chips (my fave).. 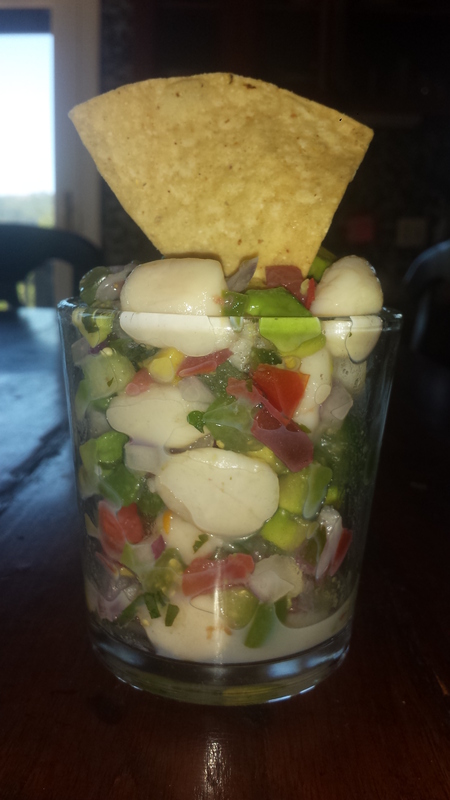 This entry was posted in All Recipes, Appetizers, Pescetarian, Wheatless Wednesday and tagged avocado, Ceviche, chili peppers, cilantro, Mexican ceviche, Pescetarian, Scallop Ceviche, serrano peppers, tomatillo, Wheat Free, Wheatless Wednesday. Bookmark the permalink. I’ll be making this for sure! It’s really tasty! Send me a photo!